Utopia probably conjures up different thought to different people. To us, it was being welcomed into the warm, beautiful home of Don and John R in Evansville. Everything in Evansville is in full spring bloom – their yard is bursting with azaleas, dogwood, and early spring flowers. The trees are in their most brilliant, varied green hues – a splash of color against elegant brick and stone homes. It’s great to have someone else to share stories with. We decided to try a new ‘small-plate’ restaurant in nearby Henderson, KY called Commonwealth Bistro. What a wonderful dinner. John C took charge of ordering plates of food that we all shared, and it just kept on coming. Appetizers of spicy spring rolls and flatbread hummus, followed by scallops, the most amazing Brussels sprouts, pig wings (meaty little shanks with a mustard-y sauce), porcini mushroom ravioli, sea scallops with chipotle sauce (awesome), and seared skirt steak. Some we liked more than others, but all were tasty and beautifully served. If you’re a foodie, check out the photos below. Oh man, what a feast. 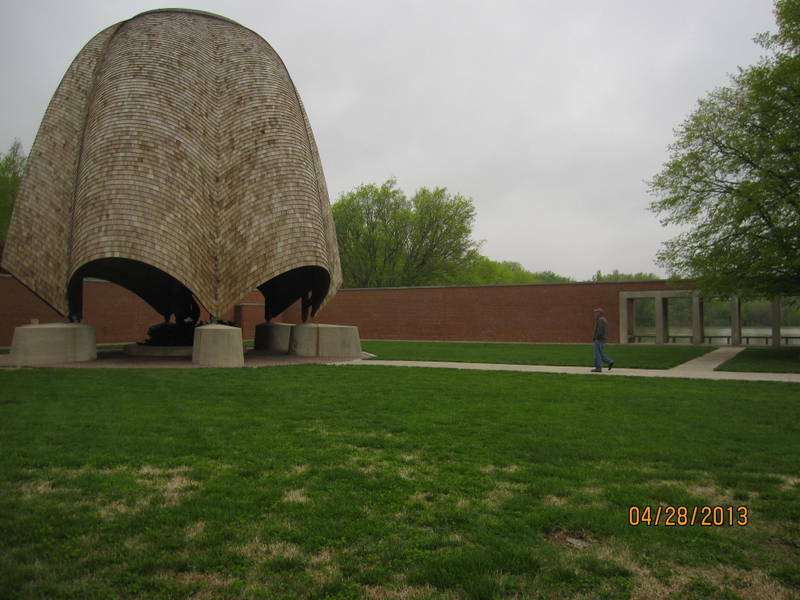 Sunday afternoon, we decided to check out another Utopia, the community of New Harmony. The original settlement failed in 1824, after 10 years, and was purchased by Robert Owen with the intention of establishing a utopian community. This experiment apparently lasted only a few years as well. 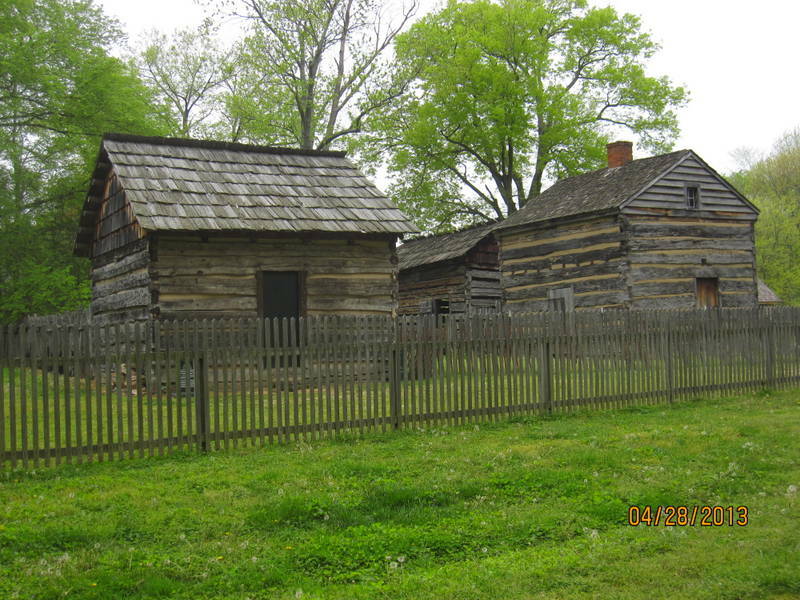 Some of the original structures from the original settlement have survived. They’ve been augmented by homes from the last 200 years, all which blend harmoniously in this small village, which also includes a small hotel and conference center. It’s peaceful and gorgeous. We wandered around in the labyrinth and the Roofless Church. The Wabash River is still rising alarmingly in that area. 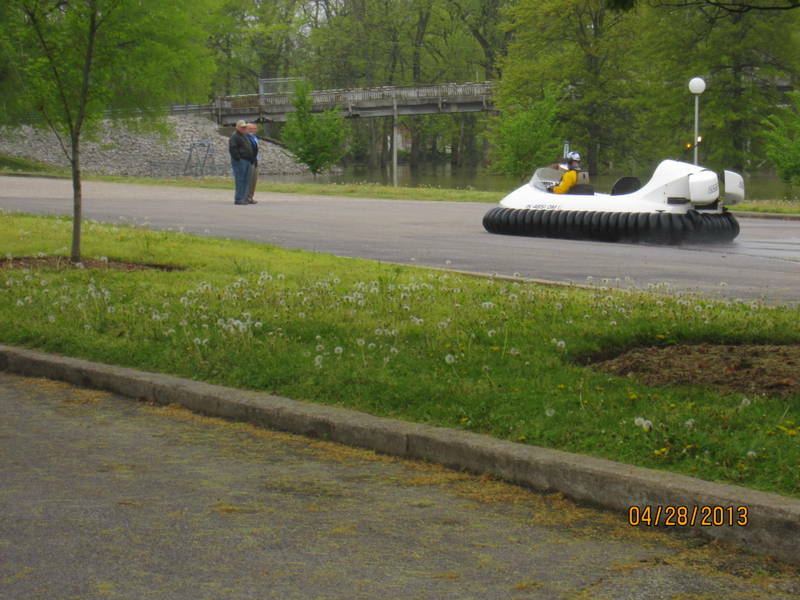 A hovercraft glided from the river right up on to the main street, a sight probably not seen every day. Never seen a hovercraft before. This guy looked like he was having fun. We headed home Monday. Sad that our first retirement odyssey has ended, but somewhat anxious to get back to our own home & friends. On the way back to Michigan, we note that we have run ahead of spring – the trees here in Michigan have not yet leafed out, and there are few daffodils and tulips to be seen. But, we will get to enjoy the blossoming of Spring as it happens here. Perhaps, that’s our own Utopia. 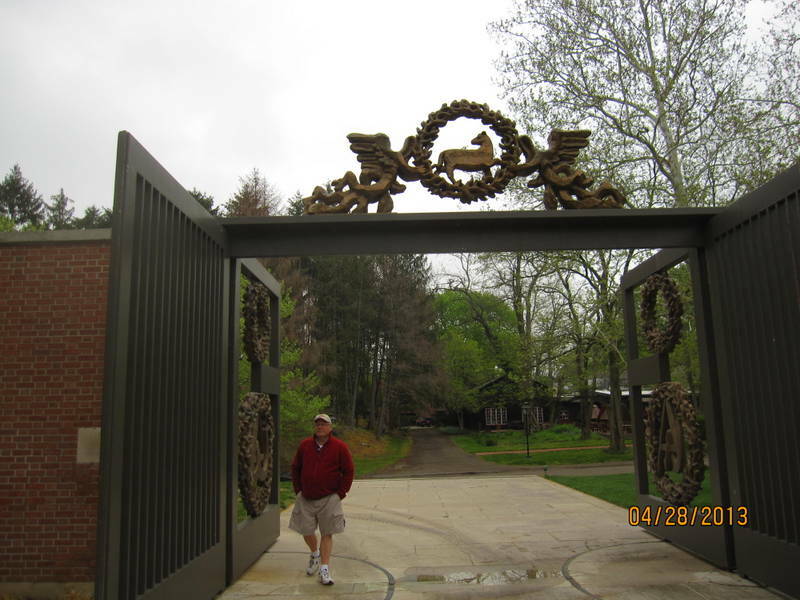 This entry was posted in family, food, retirement, weather and tagged great food, historic sites, Indiana, retirement, weather by Judy Crankshaw. Bookmark the permalink. It seems to me that going home makes going camping more enjoyable, and camping makes coming home more enjoyable. It’s a great balance. Ah, Tiny….you are way too wise for me. I just want it all NOW! We’re already anxious to get the Fireball rolling again, but have so much house stuff to do in the meantime. I enjoyed sharing your trip with you and Ron. Keep after Sheba – she wants to be good, just needs your guidance. We’ll be posting (hopefully soon) when something worthwhile comes along. Happy travels. Thanks, Kathy. Who knew that we’d have so much housework/yardwork waiting for us? omg!